The Talking Box: House: The Doctor as a Patient? 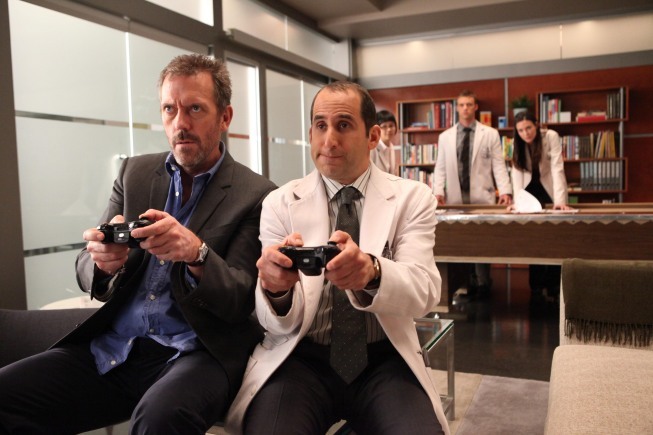 House: The Doctor as a Patient? "One of the problems with working for House - you start seeing zebras everywhere." I love that quote about a circus being in town and hearing hoofbeats that turn out to be zebras instead of horses. You see one thing so often that you don't think of it meaning something different. And that was exactly the case today - House fooled the other doctors into thinking he had a failing liver by taking a well-known supplement. I actually preferred this medical mystery to the main one, but perhaps that's because I guessed the ailment fairly early on for once. It also wasn't the greatest episode for clinic cases, though both were amusing. Wilson sees a compulsive nose-picker who has developed an infection because of a cut, and House sees a kid with an intolerance for green food coloring, brought on by chugging week-old green beer. Neither were memorable, but both were a bit funny (and disturbing! ).